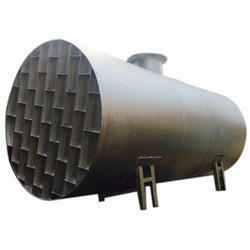 We deals in Fabricated Storage Tank . We provide high quality of Fabricated Storage Tank for various Heavy Engineering, Chemical and Oil & Gas industries. We design and develop tanks with maximum flexibility to cater to various requirements of flow for gases and liquids. Storage Tanks and agitator type Reactors S. S. 316 for Chiplun Project. S.S. Filter Press with S.S. 316 Tanks for lran Project. We offer various type of storage tanks made from stainless steel, Mild steel & aluminium Volume ranging from 500 lts. To 75000 lts. - We also offer underground tanks for storage of petroleum products. Size( Length X Width X Height): 1000 o.d. to 8000 o.d. 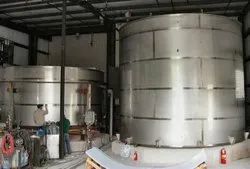 Owing to the rich industrial experience and expertise in this business, we are involved in providing a supreme quality array of Fabricated Storage Tank.